It’s no secret that Kylie Jenner killed it at the Donno Dossi fashion show in Turkey earlier this summer. It was thanks to her confidence, long legs and the pristine designs that got the media talking, but what was it about Jenner that really speaks of the umph that came from the event? Strutting in the Dossi white tuxedo jacket and those signature short shorts made a boom in Antalya, but making it was not nearly as easy as it seems for her on the runway: “You have no idea how many doors closed on me and how many adults outright laughed at me behind my back.” The reality television star said. The all-too-familiar short shorts leave those long pins vulnerable for the world to see, and she obviously got a grasp of having them look the best that they can, showing us how to perfect a natural looking golden tan in just one hour with Cocoa Brown 1 hour tan for just 7.99 pounds. 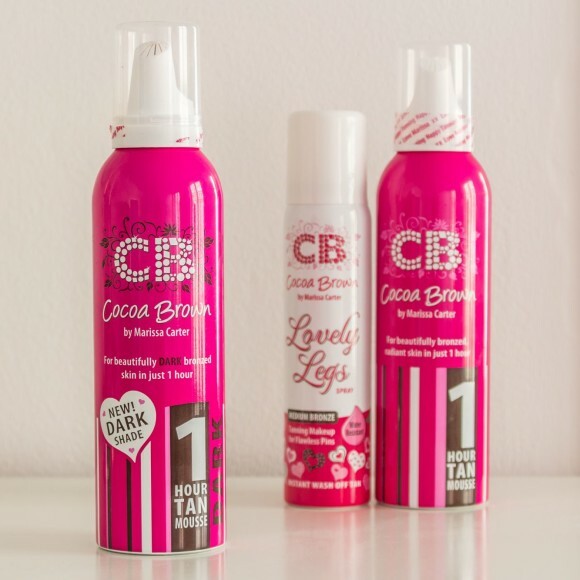 Cocoa Brown is a must-have for beauty lovers, and it’s great for the time-sensitive ladies looking to be ready for a night out (or day in) and out the door in record time. It takes a measly 60 minutes, and it will give you a rich, streak-free brown glow, leaving no room for the thought of “fake-tan.” These natural looking results come from the paraben-free moose. The Cocoa Brown tanning product Kylie swears by is applied with the pink tanning mitt, easily gliding over your skin, offering results for even the overly-expecting. If you’ve got a few more kinks you want to work out, the Fear No More Tough Stuff body scrub is also available for only 4.99 pounds. What’s the catch? Nothing – it’s even kind enough to be used on sensitive skin, including both face and body, and fades evenly. What the bonus? The Tahitian Gardenia floral scent will keep people galaxies away from even thinking you may even possibly smell like fake tan and the results will last between 5 and 7 days.